I got the Bear Grylls Survivior Softshell Jacket made by Craghopper at The Bushcraft Show back in May 2014, so I’ve been using it quite a bit since then. The Jacket performs at its best when used as part of a layering system rather than a solo jacket against the elements, It can be used as a single outer layer jacket but it’s not waterproof only water resistant and will eventually let water in, it’s also Windproof aswell. It’s a great lightweight jacket, warm inside as it’s lined with a fleece material. It has two inner pocket bags without zips. On the outside of the jacket there are 4 pockets, a left breast pocket which contains an emergency whistle, bottom right hand pocket contains a LED torch, bottom left pocket houses a Velcro detachable compass, the bottom two pockets zip pulls are 120cm cord, enough for a boot lace. There’s also a rather large back pocket which houses an emergency space blanket. It also features Elasticated bound cuffs, Shoulder grip overlay panels and Reflective print & tape to centre front. I wear this jacket not just in the woods but on a day to day basis whilst travelling to and from work or other activities when a light jacket is required when heavy rain is not forecasted. 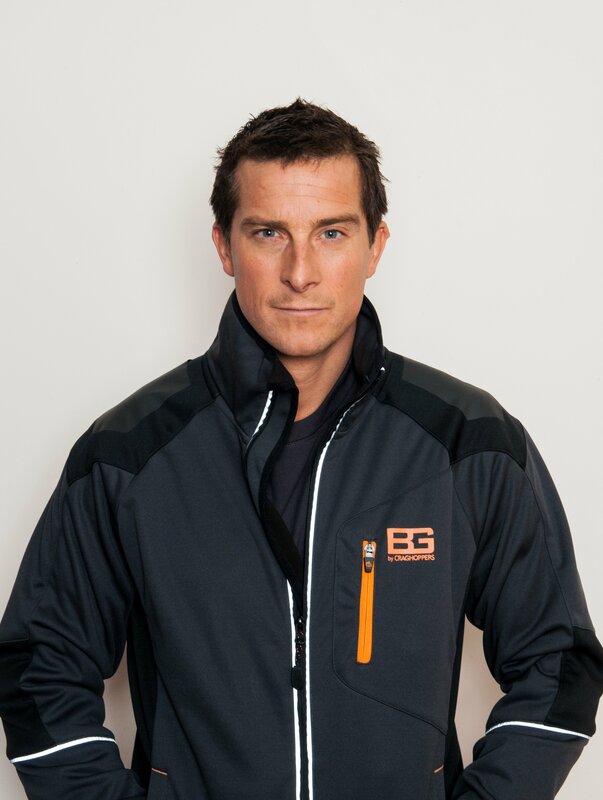 The Bear Grylls Survival Softshell jacket comes in 2 colours extreme blue/ black & black pepper /black. I have the Black pepper/black colour jacket . Size wize they come in sizes from Small to XXL. 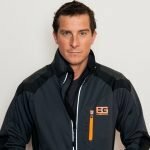 All in all this is a great Softshell jacket designed by Craghoppers and Bear Grylls. The only tiny tiny tiny downside to the jacket is it doesn’t have a loop to hang on a coat hook. I contacted Craghoppers and asked why this is and their reply was very honest, we forgot!